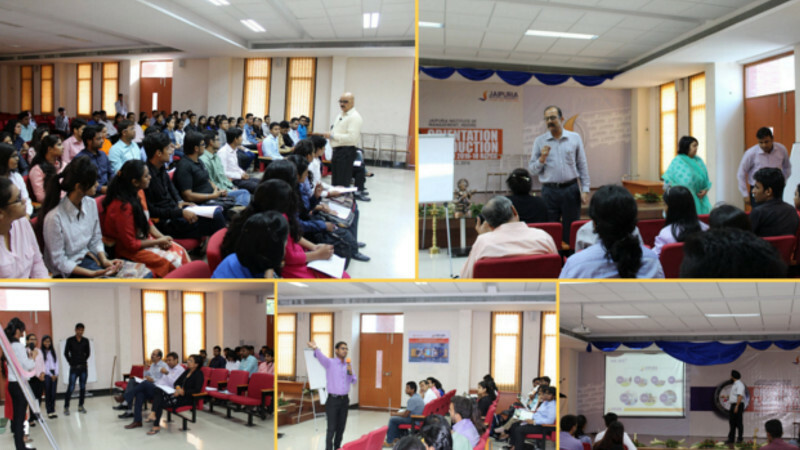 Jaipuria Institute of Management, Indore organized a comprehensive induction programme for its PGDM batch (2016-18) between June 27th and July 2nd. The Program was meant to familiarize the students with the Institute, give them a glimpse into the PGDM program, the expectations from the corporate sector and the holistic development journey they will embark upon over the next two years. In addition to making the students interact with the faculty and alumni, the induction program also had a number of people from senior corporate positions, government, NGOs, etc. There was also a strong focus on participating in different activities – management games, team building exercises, talent hunt, sessions on health & fitness, entertainment, etc. 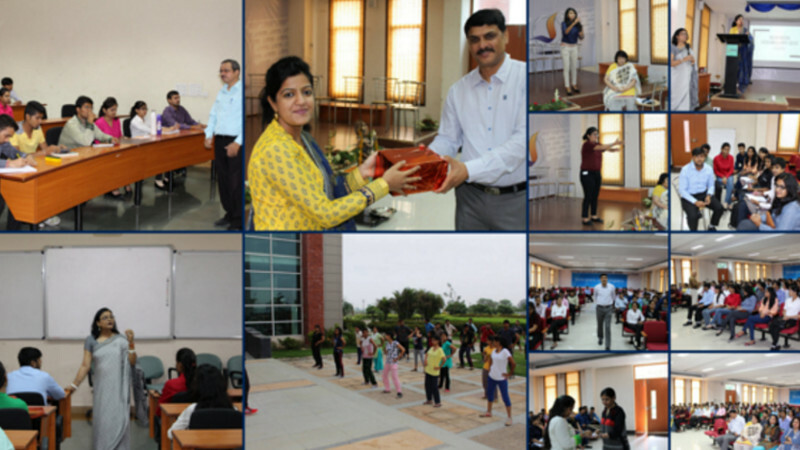 Students were introduced to the unique ‘Uncampus’ philosophy of Jaipuria that binds all the campuses. Students were familiarized with the workings of the Placement Cell and how it helps students get ready for their job applications. Qualities that make a person an effective business professional were enumerated. Students got a chance to interact with their mentors in an informal setting, which helped them to break the ice as well as familiarize themselves with their guides. Mentors took sessions with students on the analysis of news items, followed by business quizzes. Campus MRC team’s functions were explained and students were encouraged to take on campus reporter roles. Apart from campus tours, students were introduced to the workings of the campus library and online databases. 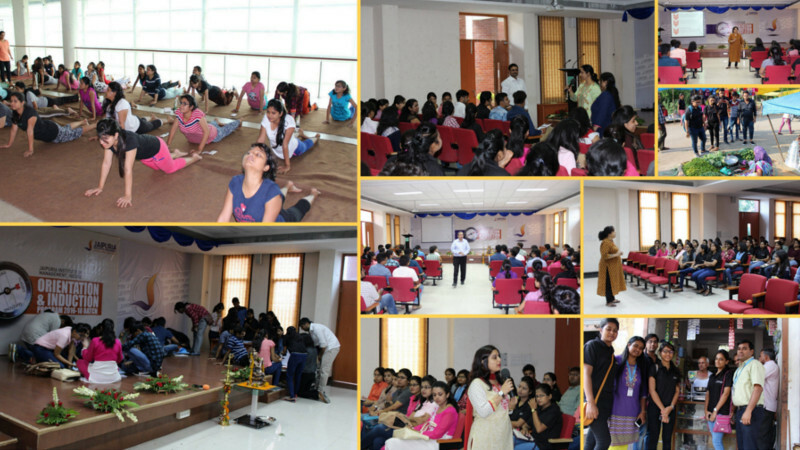 Students participated in sessions of Yoga, Zumba, Meditation, besides other sports. The Theatre workshops introduced to the students the usefulness of theatre as a medium for removing inhibitions and building confidence. 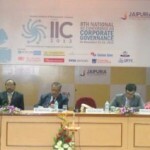 While it is important for the students to develop as professionals, the human element is also a focus area at Jaipuria. Keeping this in mind, students were taken through the workings of “LIFE WITH A PURPOSE”, which is an initiative taken by Corporate Social Responsibility Committee of Jaipuria. On the last day, the students visited the Infantry School, MHOW for an Out – Bound Activity. 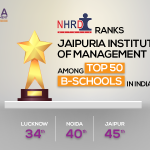 Jaipuria, Indore became the first ever management institute to be given permission to visit the prestigious Infantry school. In this unique and invaluable opportunity, students could learn several management lessons from the Indian Army like Planning, Organizing, Directing, Coordinating, Controlling, Leadership, Motivation, Human Resource Management, Training and Development etc. 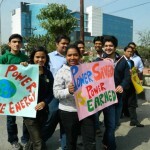 which are all part of their PGDM curriculum.